Costa Rica Turtles - Nesting times and when to Visit! 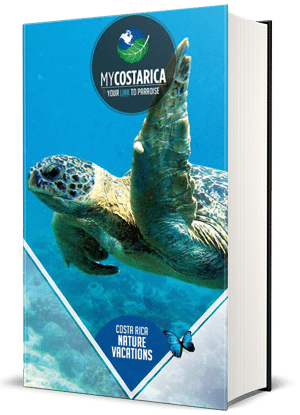 Viewing Seasons and where to see Costa Rica Turtles? 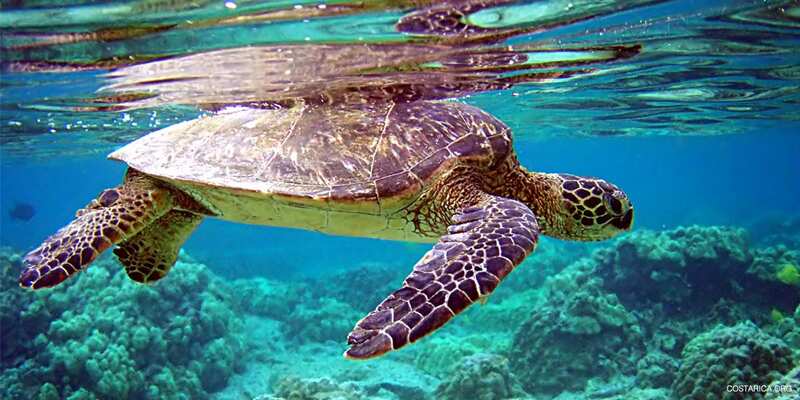 Wildlife in Costa Rica is famous for its variety and that also applies to the variety of sea turtles. In Costa Rica, you can spot 4 species of turtles. It can be rather complicated to know when to come to view the nesting of each Costa Rica turtles, but have a look at the map below. It shows the best time to come see these amazing creatures. Although you can see them pop up periodically year-round, there are a few peak seasons when you will have a much higher chance of seeing them. On the Caribbean side, it is best to visit from March to October to experience the nesting ritual. Costa Rica Turtles are a stunning spectacle to see, and if you have the chance to, it is more than worthwhile. What a lot of people don’t know, is how endangered they are. Almost all species are labeled as endangered and fall victim to poaching for their meats, shells, and eggs. This is why programs like the Corcovado Foundation and many others have made a special effort towards protecting them. When you visit to see them either laying eggs or hatching, you are actually helping to support their safety from endangerment. Areas like the Corcovado National Park, Tortuguero National Park as well as Cahuita receive a large variety of turtles. One of the most famous areas ones with tourists right now, is the Ostional Wildlife Refuge. It is worth noting that Santa Rosa National Park may not be the best place to spot the turtles. Playa Nacite receives the highest number of marine visitors but is also closed tot he public. You have to obtain a special permit through the park in order to gain access to this beach. This is the place where most tourists come to spot turtles because so many of the come to shore. 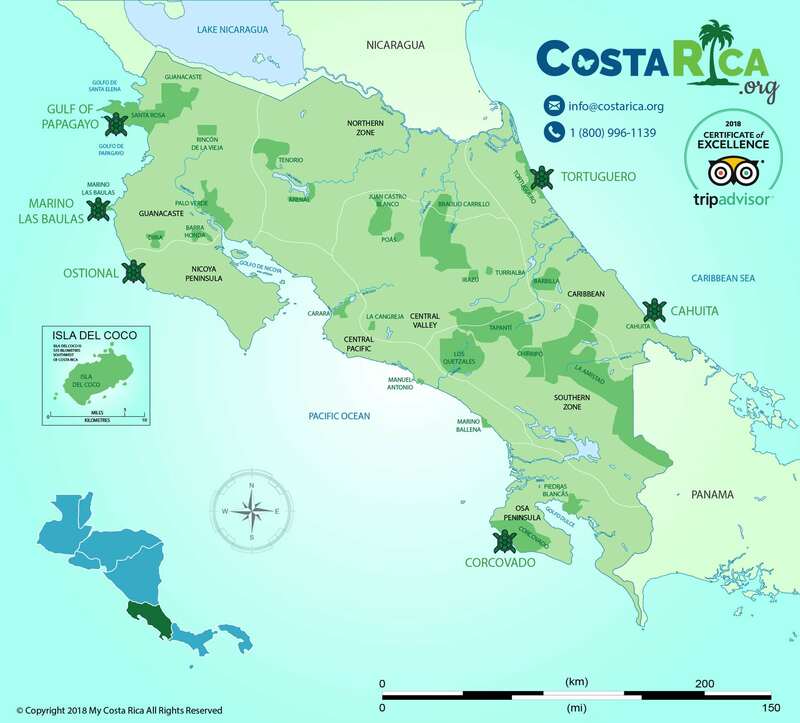 Ostional Wildlife Refuge is located on the Nicoya Peninsula In the province of Guanacaste. In the afternoons you can see hordes of turtles arriving at the beach where a licensed guide will inform you about the nesting process of the Olive Ridley Turtle. You can watch the turtles dig a nest, lay the eggs, close the nest and then make their way back to the ocean. The local community is allowed to collect some eggs for research purposes as well as a food source. In the mornings, you can see the eggs hatch and watch the baby turtles start their long journey to the ocean. Not all of them make it, however, and you can help them by keeping the dogs and vultures away. Rangers take patrols along the beach to make sure you are visiting this refuge with a licensed guide. The nesting sea turtles have to be given all protection necessary in order to successfully complete the nesting process. Getting a boating tour on the canals of Tortuguero will introduce you to many different species in Costa Rica. You will see the crocodile, caiman, birds and yes, also plenty of turtles! Tortuguero is a great place to spot the Green Sea Turtle and the Hawksbill Turtles. The Corcovado Foundation supports two seas turtle conservation programs in the Osa Peninsula. This program very proudly fights for this endangered species by conserving their natural habitat, keeping poachers at bay and respecting their natural process. Playa Grande is not only a great surfing destination, but also home to Las Baulas National Marina Park. This is a great place to spot the so-called leatherback turtle. Although development of condos has started before this area was subbed a national park, these developments now have to adhere to strict rules. One of the things to disturb a turtle for instance are bright lights. This is why all the houses along the shore have very dim and colored lights. – Make sure not to interfere with nesting, by staying out of the turtle’s pathway. – Use no flash at all with your camera in order to prevent hatchling wondering off of the path. – Knock down or move obstructions anything that might be in the way, for example, sand castles. – Deter pests like stray Dogs, Raccoons, Pizotes. – Join an organized tour if you want to enjoy the see tule nesting or hatching, we can help you plan this with a Custom Itinerary. Not many know this but there are several different types of Costa Rica Turtles that come each year. Four types to be exact. The first one and possibly the most popular is the Olive Ridley Sea Turtle. Second, being the Hawksbill. Thirdly the Green Sea turtle and lastly the Leatherback Sea turtle. The Olive Ridley is widely known to people from all over the world. They grow up to two feet in length and can weigh almost 100lbs (50kilgrams) but they rarely reach over that. You will see these amazing turtles on the Pacific side of Costa Rica. A favorite meal that these majestic turtle love to eat is Jellyfish. The stinging tentacles do not affect it making it one of the jellies only predators. They also love to feed on sea urchins, snails, shrimp crabs and more. 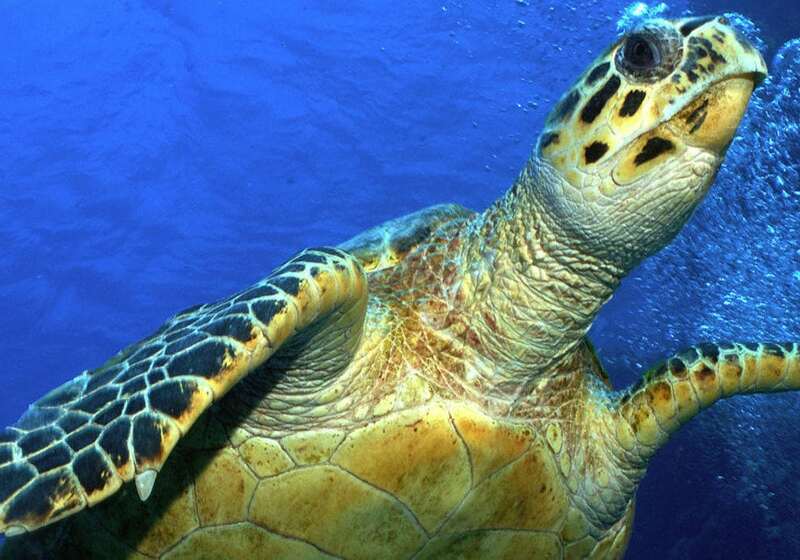 The Hawksbill Sea Turtle is on the worlds critically endangered animal list. They are double the size of the Olive Ridley reaching sizes of 3 feet or (1 meter) in length and weighing 110kg (200 lbs). The hawksbill is easily identifiable, more so than others, because of its unique pointed snout very similar to that of a hawk. 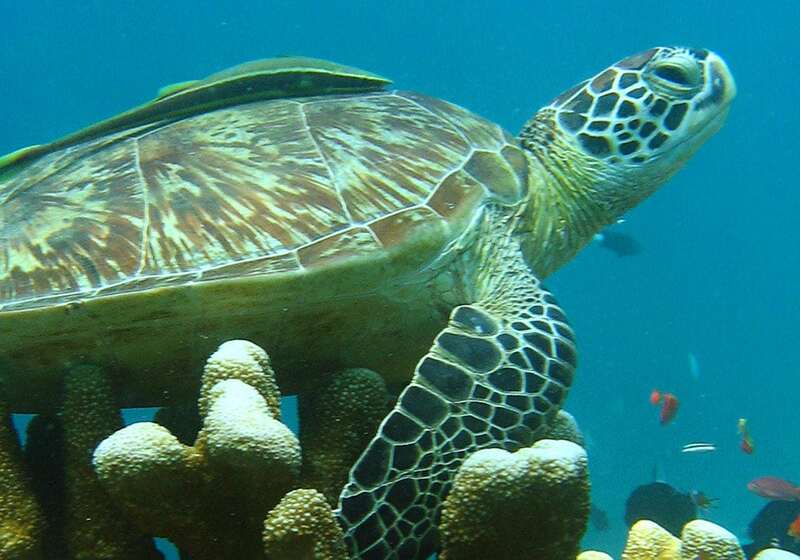 You will find the Hawksbill turtles on both sides of Costa Rica. Coming to the far north and south on the Pacific side and almost the whole Caribbean side. 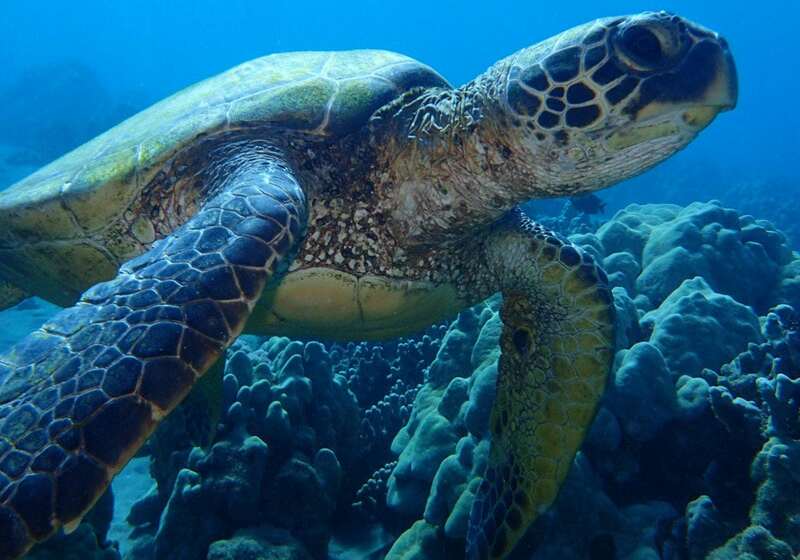 The Green Sea turtle is found on both sides of Costa Rica and is larger than the last two turtles. They can grow up to 4 feet or (1.5 meters) in length and weigh up to 300 kg (650 lbs). Unlike the Hawkbill, the green turtle doesn’t have a curved snout but rather a very flat one. These particular turtles are herbivores and only eat algae and seagrasses. With this diet, they take quite a while to reach their full size. 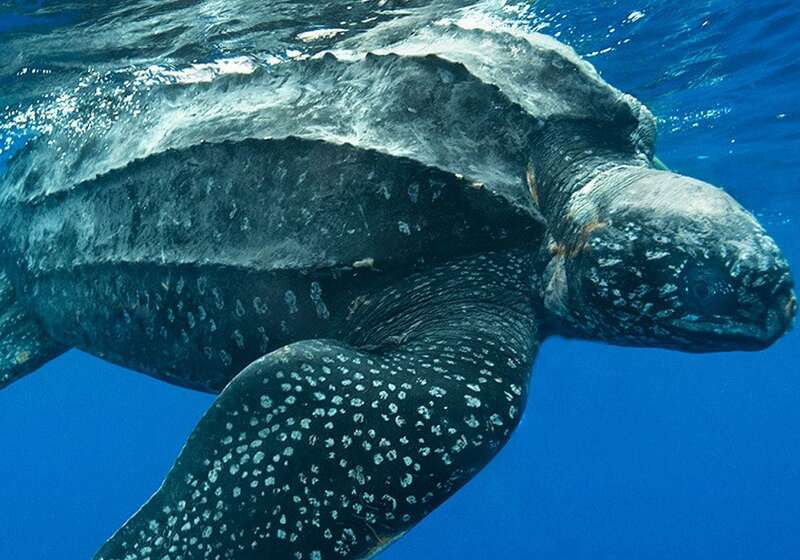 The Leatherback Sea Turtle is notably the largest sea turtle out of the four species. They have a fin span of 2.5 meters or (8.5 feet across), weighing up to 1500 lbs. This rather large specimen has been listed as endangered at all inhabited points. A notable feature is a leathery back with several spine-like points popping out on each ridge. Leatherbacks show up on the Pacific and Caribbean sides of Costa Rica. Above all, else helping these awesome creatures to keep healthy and coming back each and every year is the goal. Why not come and visit this year?